Large, comfy spotless and kitchen cupboards full of every thing you would ever need. A nice bottle of red, chocolates and 2 litres of milk were a lovely touch! The host was cheerful, helpful and friendly. Very well appointed. There was everything you could think of in the unit. 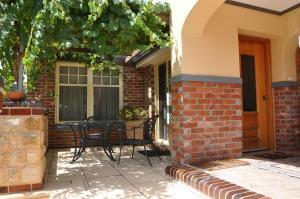 Within walking distance to restaurants and cafes. The facilities and amount of room to spread out if you wanted to. Enquiries made prior to arrival were met in a friendly and easy to understand manner. Central location,quiet and very well equipped and comfortable. Loved Missey ( the cat). Really appreciated the extras and our hosts advice. Dale the owner and his son Matthew were fantastic, so welcoming and friendly. Lots of suggestions for dining and places to go, it was great! The apartment was beautiful, well fitted out and extremely comfortable. It was very well appointed and felt like a home from home. We met Dale and he could not have been more welcoming and hospitable (he left out chocolates and a bottle of wine for us - thanks Dale!). The location is excellent, very quiet, but only a short walk from the high street cafes and bars. As a bonus, the shower is powerful and one of the best I've experienced in a while. Would definitely stay again. The extent of the facilities was impressive. It was lovely to be able to relax in lounge chairs. There was so much space. It was a very quiet and peaceful location, and yet it was very close to the centre of Tanunda. It was great being able to park the car around the back where it felt extra secure. Many extras, especially in the kitchen, were included that made our stay so comfortable. Many books and other things to occupy any spare time have been provided. These extras give the place a very homely and relaxing feel. 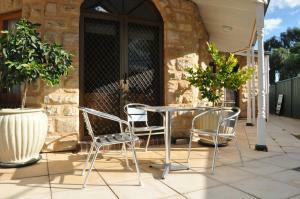 It is the place to stay in Tanunda. Lock in a great price for Apartments on Fiedler – rated 9.6 by recent guests! 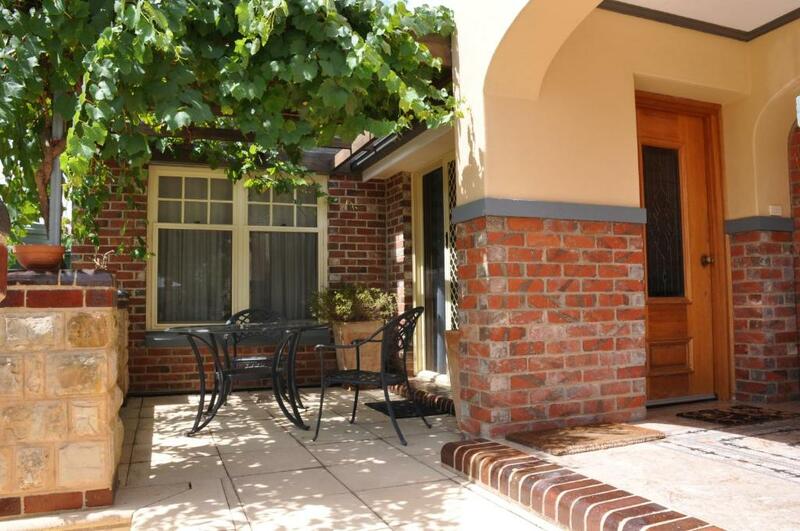 Located within an 8-minute walk of Barossa Wine & Visitor Centre in Tanunda, Apartments on Fiedler provides accommodations with seating area and flat-screen TV. A bicycle rental service is available at Apartments on Fiedler. Chateau Tanunda is 0.8 miles from the accommodation, while Langmeil Winery is 1.7 miles from the property. 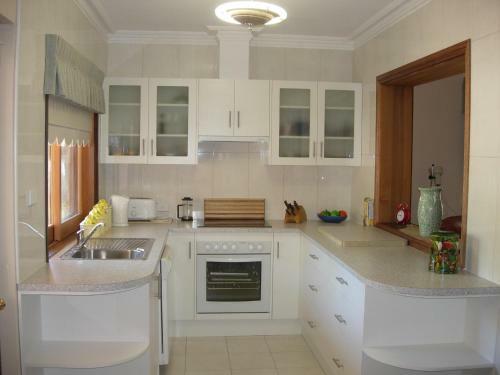 The nearest airport is Adelaide Airport, 48 miles from the property. 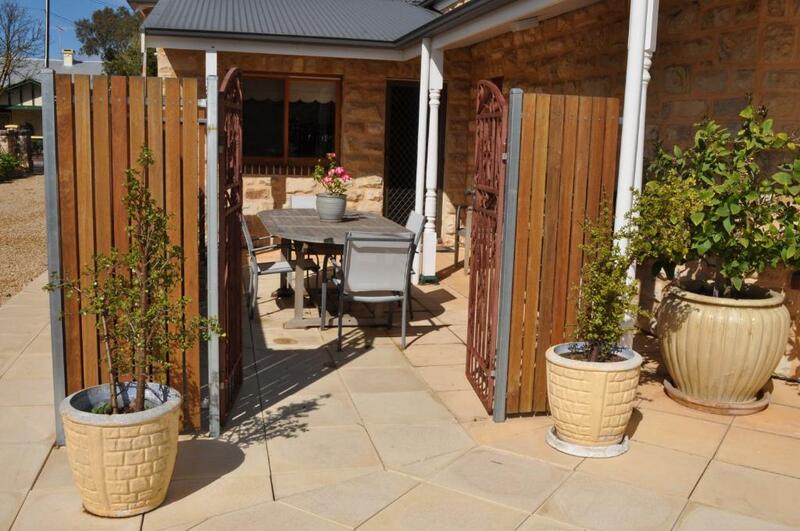 This property also has one of the top-rated locations in Tanunda! Guests are happier about it compared to other properties in the area. 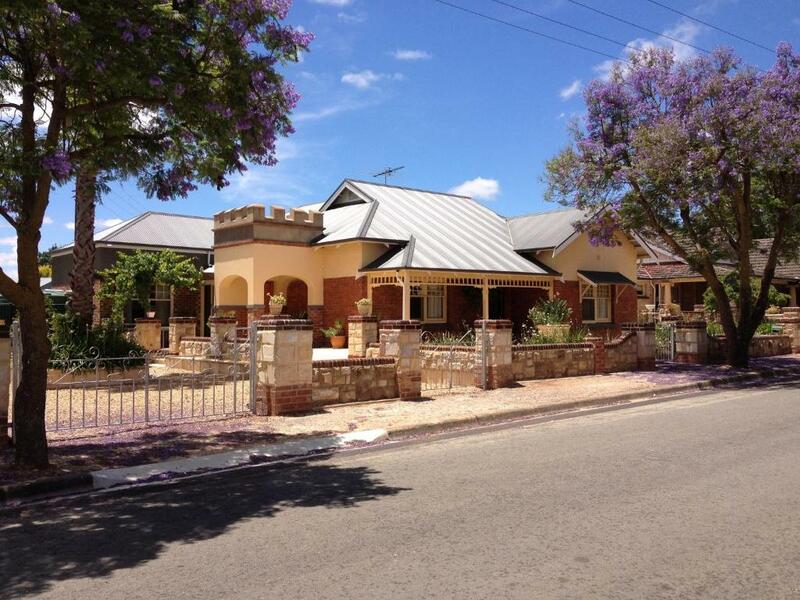 This property is also rated for the best value in Tanunda! Guests are getting more for their money when compared to other properties in this city. When would you like to stay at Apartments on Fiedler? The studio is a modern spacious apartment with all modern facilities including a queen-sized bed, kitchen facilities, separate shower toilet, laundry area, outdoor entertainment area with BBQ, and off street parking. This apartment is for two guests and has inter-connecting double doors to the other apartments for group bookings. This fully self-contained apartment has one queen size bed with an private bathroom. The apartment also has two toilets, laundry facilities, a full size kitchen and dining area, outdoor entertainment area with BBQ, and off street parking. This apartment is for two guests and has inter-connecting double doors to the other apartments for group bookings. Also known as the 'Owners Apartment', this apartment is fully self-contained with a spacious King bedroom, marbled private bathroom, a compact kitchen, separate dining area, elegant lounge room, and private entrance. 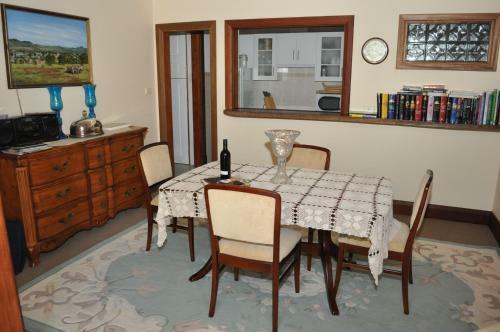 This apartment is for two guests and has inter-connecting double doors to the other apartments for group bookings. Jan and Dale have resided in Tanunda in the Barossa Valley for 42 years and consequently have a good insight and knowlage of the Barossa Valley. They are available to advise guests and offer information of places of interest to visit, also which wineries cater for visitors. Advise is also available about the many resturants and hotels which are in abundace throughout the Barossa Valley. As Jan and Dale reside next door to Apartments on Fiedler, they are availble if any unforseen events may occur and they always look forward to meeting new guests. You can assured of a very warm welcome when visiting the Barossa Valley. Apartment on Fiedler are idealy situated in the township of Tanunda in the heart of the Barossa Valley. A short stroll to the main street gives you access to shops cafe's resturants and hotels. The Barossa Beer Brewery is 300 metres from the apartments and the historic Chateau Tanunda is a 15 minute stroll down Fiedler Street. The iconic Tanunda wine cellars are 100 metres from the apartments and have a magnificent array of beers and wines. There are 5 churches within walking distance of the apartments, and if you are visiting on a Sunday morning you will hear the old church bells toll out calling worshipers to church. 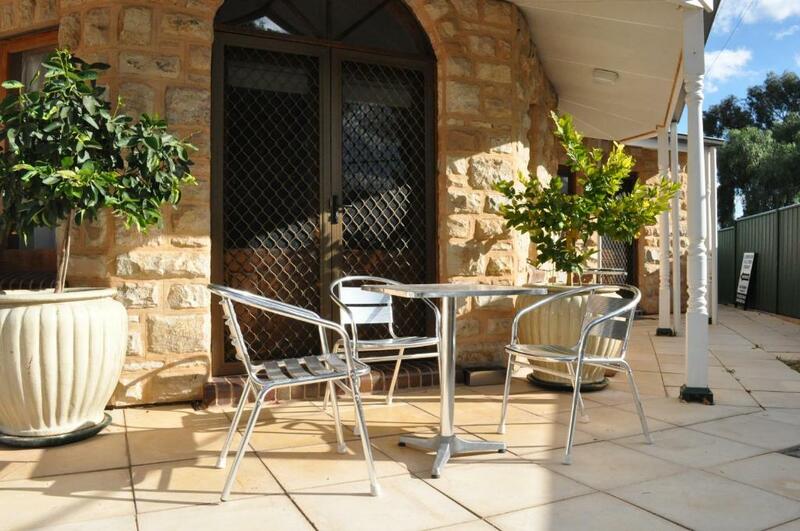 The Barossa Valley Visitors centre is situated in the centre of Tanunda and is a short stroll from the apartments. Apartment on Fiedler look forward to making your stay enjoyable and one you will remember. House Rules Apartments on Fiedler takes special requests – add in the next step! Debit card Apartments on Fiedler accepts these cards and reserves the right to temporarily hold an amount prior to arrival. Apartments on Fiedler accepts these cards and reserves the right to temporarily hold an amount prior to arrival. Please inform Apartments on Fiedler of your expected arrival time in advance. You can use the Special Requests box when booking, or contact the property directly using the contact details in your confirmation. Being pickie, maybe the sofa could be updated but overall a good stay and would recommend. The couches were very low and uncomfortable but everything was spotless and the location was fantastic. Old vibe, but it is an old building so fair enough. Would have loved a good coffee waking up. Some basic basic breakfast stuff would be a good value add. No shower shampoo etc. Location, cleanliness, shower, host comms on the phone, parking, Bottle of wine not just a cheap give away was a half decent shiraz. 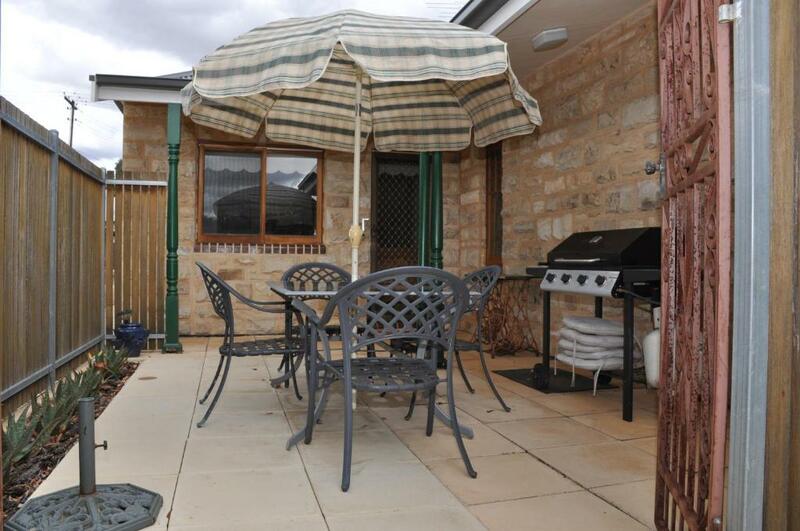 Short walk to cafes and restaurants in tanunda really good location. No noise from the other apartments. Bed comfy. Shower really powerful. The apartment had everything you would need to enjoy your stay including a bottle of wine, chocolates and fruit. The bed was large and comfortable. A wonderful area outside the apartment to sit and enjoy the sunset. Great location, clean, private, great host. Loved the ambiance, furnishings, wine, fruit and chocolate. Thanks also for taking us to the venue for our special dinner. Extremely comfortable and clean property. Convenient location.